Sookie has once again agreed to assist Eric and the Queen of Louisiana. 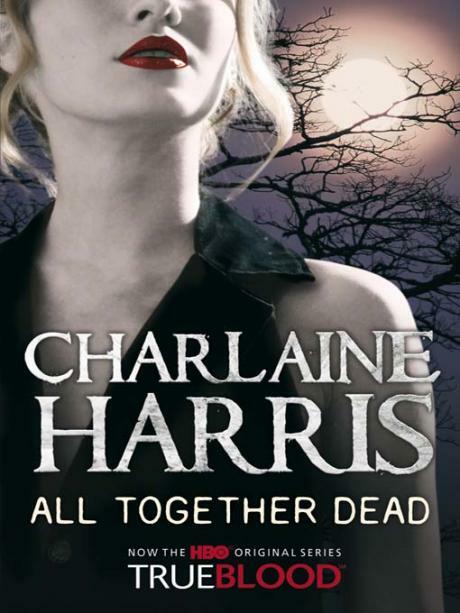 This is despite warnings from her fairy godmother – Claudine – who worries that Sookie will be linked permanently to the vampires and their politics. She is still seeing Quinn, but not as often as she would like. Sookie and co are flown out to attend a summit in Rhodes (OK – so the books are somewhat silly, but I do love this whole Anubis airlines thing. It’s the little details that make this world so enjoyable), leaving the annoying Amelia at home. Vampires from all around the country are flocking in to witness the trial of Queen Sophie Anne; accused of killing her husband (the King of Arkansas). The Queen – only a few years earlier one of the most powerful vampires in the country – is not only facing a trial has also been hit by hurricane Katrina – decimating her power base, numbers and financial wealth. Those still loyal to her dead king are determined to see her meet the sun. Sookie knows that Sophie Anne is innocent – at least of that crime – so feels that she has to help. Also, any refusal could lead to rather nasty reprisals. Bill is also in attendance. His ultra-special super-secret project was to compile a database of vamps across the continent. This is deemed especially valuable as he included as many as he could track down – even those who wished to remain anonymous. Naturally it is only to be sold and used by vamps. Every time he interacts with Sookie he does the sad and repentant thing. Thankfully she doesn’t appear to be buying. 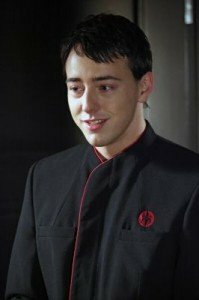 Barry the bellhop – the only other telepath Sookie has ever encountered is also there, working for Stan (the head of the vampire clan that Sookie assisted in Club Dead). Naturally Eric is also on site. Aware now of the time that he and Sookie spent together; he is struggling with his emerging feelings for her. Requiring every advantage, the Queen plans to use Sookie to listen into the minds of the humans attending various vampires. Naturally, Barry is providing the same service for his vampires. Sookie puts her gift to good use – identifying those who are loyal from those who are not. She even manages to resolve one of the Queen’s most pressing issues by suggesting that Sophie raise one of her ‘children’ Andre – who is bound to her by genuine affection and telepathy – and bond herself to him in a genuine love match, rather than have to tactically marry again. A day or so into the summit, the Queen’s chief accuser and almost her entire entourage are brutally murdered. While the Queen magnanimously offers asylum to the sole remainder of the Arkansas vampires; they are lead to believe that she is tricking them and try to stick it to her at the trial. Like an idiot, Sookie leaps up and uses logic (I know – I hadn’t realised that existed in their world either up to this point!) to prove that the Queen was sincere in her efforts to save them and that she can’t have killed the King. Her word carries through and Sophie Anne is allowed both kingdoms. Just as the Arkansas vampire prepares to reveal who it was that talked him into betraying her; an arrow is thrown into his heart. Andre hauls Sookie off to an empty corridor and demands that she take some of his blood. She is too valuable to his Queen and he is determined to control her. Eric shows up in the nick of time and offers himself as a more palatable alternative – arguing that Sookie has already proven herself a loyal friend to the vampires. Also, she’s had his blood before. Reluctantly Sookie agrees to the exchange – realising that she is now much more powerfully bonded to Eric; that she can feel herself changing and will now never be totally free of him. And just as the whole thing is done; Quinn happens by. Ain’t it always the way?! As though a bunch of self-cantered egotistical and violent vampires weren’t enough to worry about; the Fellowship of the Sun has increased the violence and frequency of their attacks. So many powerful vampires in one place would be an irresistible target for them. Barry and Sookie realise together that there is something terribly wrong. Putting their heads together (geddit?) they realise that multiple bombs have been placed around the hotel; set to explode when the vampires are tucked up in their coffins. Actually beds in some cases, but why ruin a perfectly good stereotype!?! Together they manage to warn some of the more powerful vampires early – Sookie ensuring that Eric, Pam and Bill are safe, while Barry does the same with his entourage – before the explosions take place. The Queen loses her legs, but retains her life. Sookie watches coldly as Quinn stakes Andre to protect her in the future. So much better than the last book; the final few chapters are so gripping they are stay-up-past-bedtime-to-finish worthy. The real world touches – aftermath of Katrina; musical cultural reference points and so one – are back and these ground the book in a way the series has been lacking for some time. The second point I was so grateful to see reemerge was the focus on supernatural shenanigans, horrible happenings and terrible terrifyings; rather than on Sookie’s love life. Yes, there are still some ‘golly gee – all the boys seems to fancy me’ moments, but this isn’t what the book is about. Sookie saves Bill – not out of any deep angst ridden drama – but because she’s a decent person (for the most part) and they are friends/have history together. It’s good to sort of like her again. It’s was also really interesting to return to the telepathic aspect. Sookie is still learning how to control her gift/curse. She still doesn’t know what it all means; and her control isn’t as tight as it could be. Though she has better focus that him; her interactions with Barry demonstrate that while he has been growing in relation to his abilities; she hasn’t progressed as much. Hopefully this angle will continue in future books. Quinn – despite his oh so dark and moody past (didn’t have room in the review) – seems a bit too good to be true for me. Sure, Sookie likes him, but not the way she likes the dead dudes. In the long run – I think he’ll turn out like Alcide – a nice distraction, but not a proper player. Hmmm, Sam; Alcide and Quinn – I’m thinking that the occasionally furry are just not destined to be with Miss Stackhouse!! As for Eric? They are becoming more and more tightly bound to one another. Initially it was Sookie who resisted; but in this book we finally see that Eric is starting to wonder if he is too involved with her. He is aware of the changes that are taken place in both of them – though more pragmatic than Sookie – he would rather be bonded to her than dead. His move to protect her from Andre is at once territorial and opportunistic; though it rapidly becomes clear that he is indeed protecting her from greater dangers.